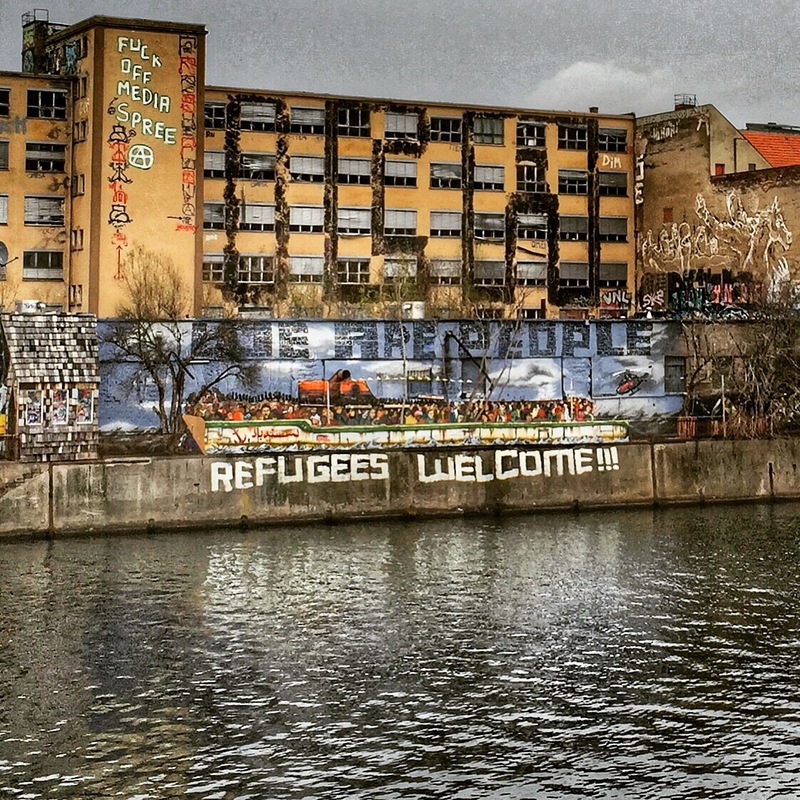 My thoughts spiralled… Why is Germany pioneering the humanitarian approach? Is it due to their fairly recent history of persecution? Are they just more compassionate people? Does it matter why? The kitsch and grubby train rolled through multiple neighbourhoods, high rise tower blocks, bleak architecture and bleaker waste land. What do the refugees think when they arrive here? Clearly it beats war-torn Syria. But starting a new life somewhere without the language, job prospects and a smattering of family, property and life left behind. Fears of hostility and a grey, grey sky, memories of recent death and destruction and the grief and trauma that comes with it. Is it made any brighter with a few symbols that you’re not hated, you are welcome – I hope so. Do they even identify with the term ‘refugee’, not long ago they were just people, workers, lovers, parents. Do they speak English – the language chosen to communicate with them in. I don’t know what I was expecting when I booked this journey to Berlin. I’ve been to Germany before as a young teen swimmer. I was welcomed with open arms to a family who took me in, fed me more than I ever knew I could consume. The music and club scene was better than I could have hoped – dirty underground clubs and a subculture I was missing in suburbia. 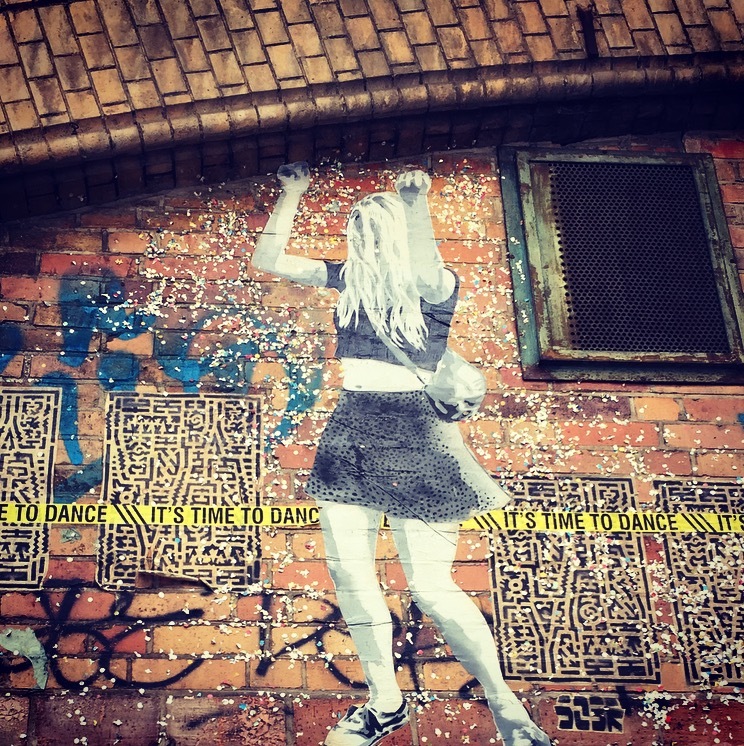 I knew Berlin was arty and subversive – a creative mecca, due to its dirt cheap rent encouraging people to occupy the building shells for 1 euro a week in certain neglected areas. Of course that’s going to attract the free spirits, the non-conformists, the creatives and the skint! It’s also going to encourage gentrification, something that appears to be a trend in capitals throughout the western world. The street art scene is thriving in the German capital, despite the 15,000 euro fine that serves as punishment for letting your creative juices flow. Like many places, graffiti mainly serves as a political statement. Voices that would otherwise go unheard, are visually displayed for all to see (for those who want to see). Of course there’s art for the sake of art too. 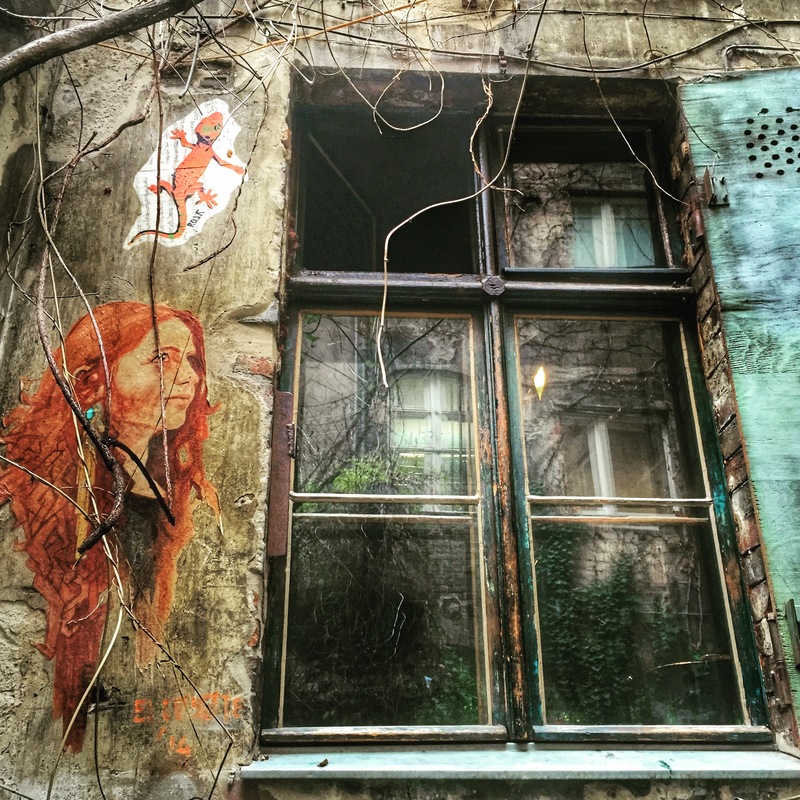 One of my favourite street artists in Berlin is a French guy called ‘Sobre’. He’s created a series called ‘It’s time to dance’ by photographing women in clubs and then creating paste up art of the dancers. Slightly creepy but I like it. Protests are commonplace here, with the Mayday protest being the most famous, most violent. A free for all with protesters who like to throw glass, start fires and police who love getting handy with their fists and their truncheons. 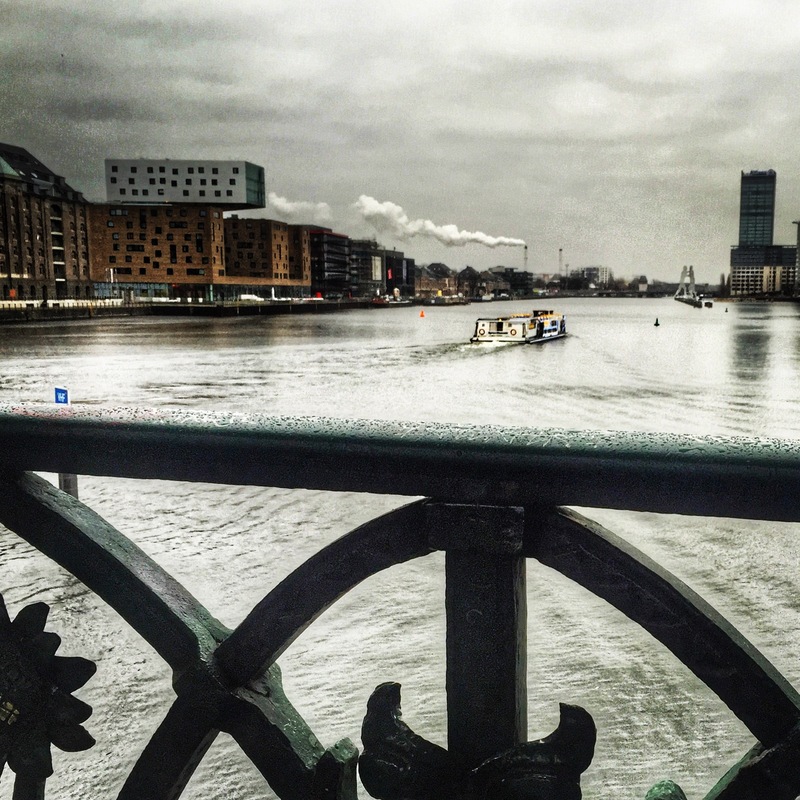 Was I expecting German efficiency, clean streets and Christmas markets – kind of. Would I have been disappointed with that – probably. (*disclaimer: there are Christmas markets) Berlin, is nothing like I imagined. It’s bleak, but in its bleakness is its beauty. I didn’t believe there was a city greyer than London, but I found it in Berlin. 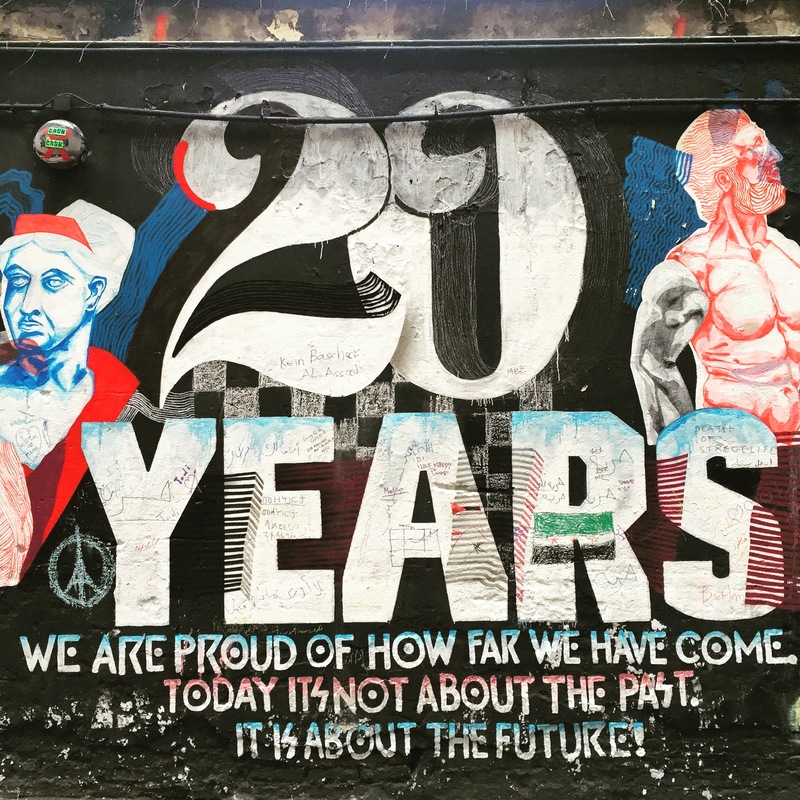 The hostel I stayed in, Plus Berlin, is in an industrial area called Friedrichshain it’s only minutes away from the East-Side gallery – the stretch of the Berlin Wall that has had its artwork preserved. It’s filled with political statements and reminders of the horrors of war. As a tourist in Berlin you cannot get away from the war. The old Nazi buildings near my hostel are now filled with some of the most intense techno fuelled clubs in the world – you join the heaving masses on a Friday night and leave on a Sunday/Monday… possibly a new person, but more likely a shell of your former self, but with a twisted sense of enlightenment. 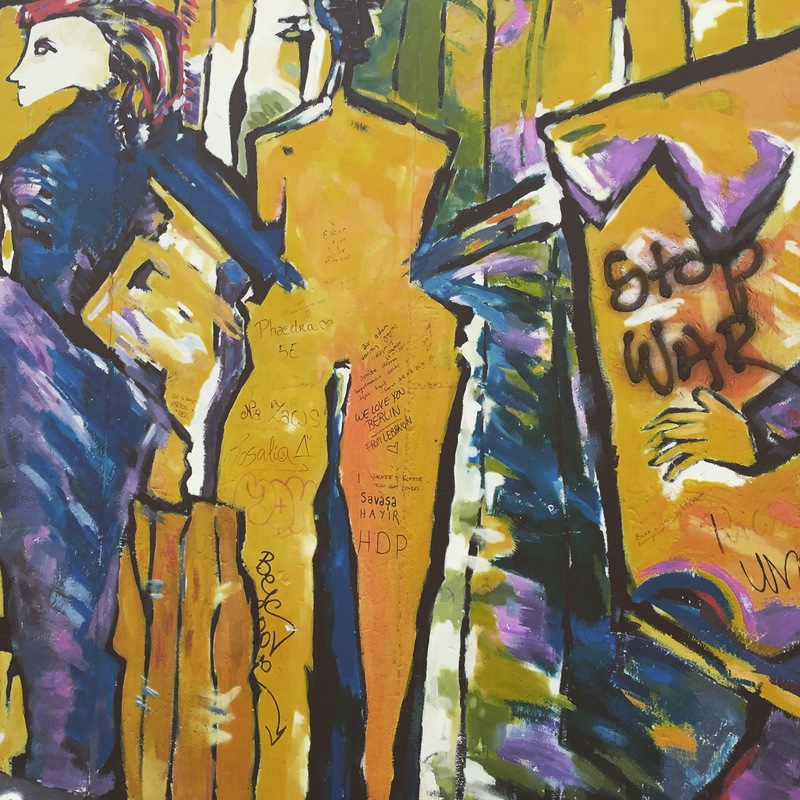 Checkpoint Charlie – the point where Western allies crossed between east and west Berlin, is now nothing more than a gift shop. 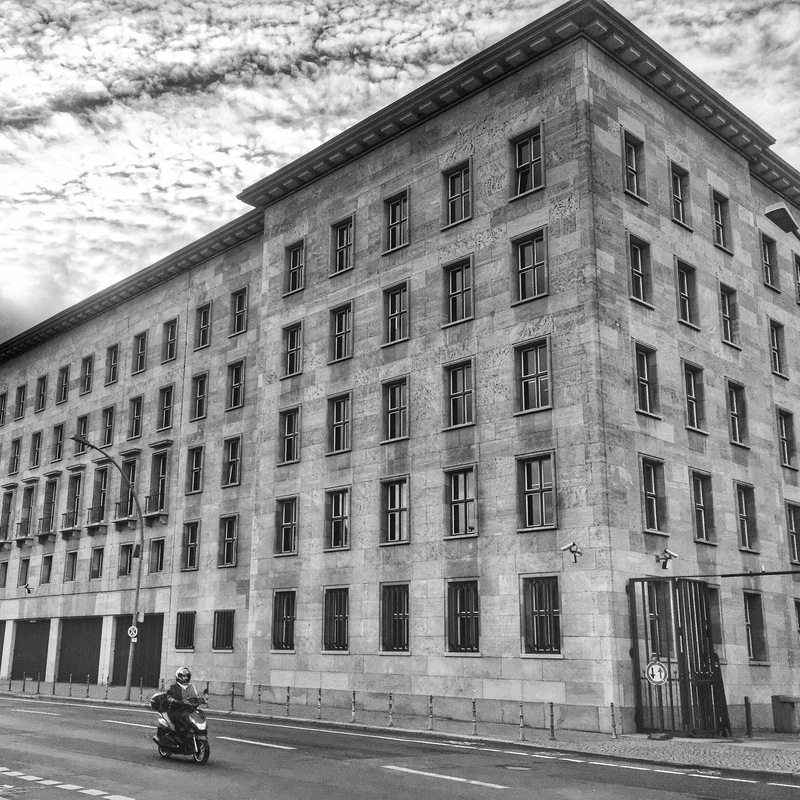 Some former Nazi buildings still stand, built to last with the grey strong stone architecture – now government buildings. What’s best to do?! Pull them down and have no reminders. Reminders of the world’s atrocities are important but would I like to work in those buildings, walk past them every day – no. Hitler’s underground maze of bunkers has no sign letting you know what lies beneath. It’s just an unpicturesque carpark, next to some concrete flats. No pomp, no ceremony, no nothing. There’s a huge reminder of the holocaust, right in the city centre – dare anyone forget. 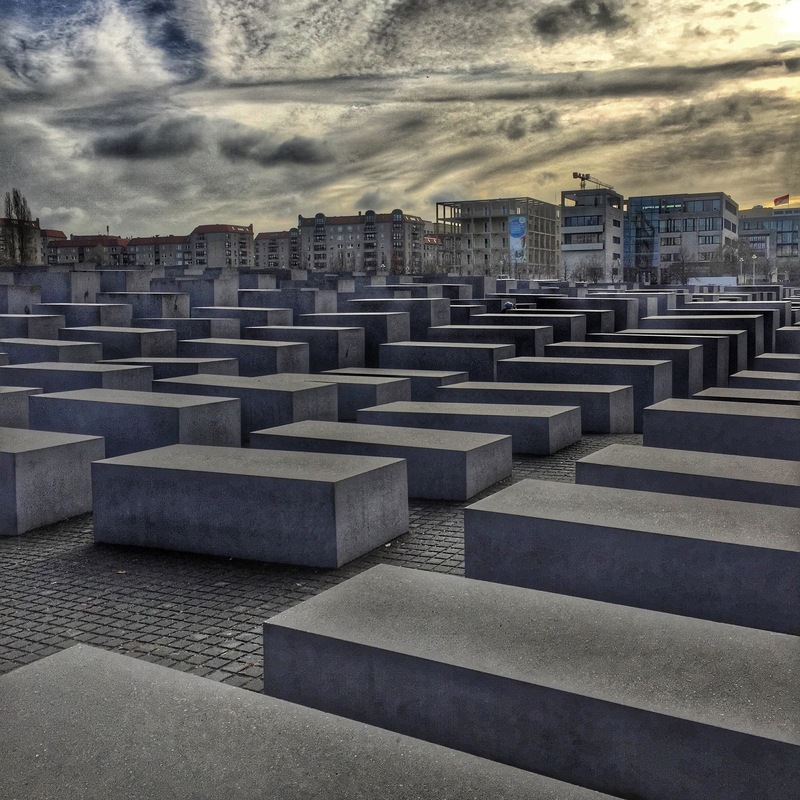 The Memorial of the Murdered Jews is a huge display – a vast number of concrete tomb-like blocks. They all vary in height but their structure and organised form are reminiscent of the regime that took their lives away. Go underground and you can explore the human-side to the lost lives – biographies of real people, the Jewish community who were sacrificed. Just a few days isn’t long enough to get to the heart of a city, I’m acutely aware of that. But I’ve seen and experienced enough of Berlin for now. It’s left me with mixed emotions – but reminders of war and mass persecution are never comfortable. I applaud Berlin for its courage and its constant determination to persevere, whilst hanging on to enough of its past as a mark of respect and a bloody reminder. It’s openness and acceptance is real – refugees really are welcome. However, if the stories about there being a bear pit – with two or three bears (gifted by Russia) living there are true… Not impressed! Have you been to Berlin? What are your views on the city? For more photos head to Instagram – JohannaW. Best regards from Styria and love to Robyn.